The usual suspects are shocked, shocked they say, over last week’s annoncement by ATT and several other large corporations that they would have to take (non-cash) write-offs because of new rules in ‘ObamaCare’ taking effect immediately. In ATT’s case the number was $1 billion. The charges relate to prescription-drug benefits for retirees. Companies that provide this benefit, as AT&T does, receive a federal subsidy, plus they can deduct the value of this subsidy from their taxes. The health overhaul cancels the deductibility of the subsidy. Omigod. We all knew this was going to cost us, but we never imagined it would happen within days! The destruction of capitalism is even closer than we thought. A little digging however, turns up the fact that the current health care bill just reverses a payoff to those same companies made 7 years ago. A back-of-the-envelope calculation says that the $1.6 billion gift to ATT compounded over the past 7 years is worth something like $2.65 billion today if we grant the financial wizards at ATT the ability to get 7.5% return on their capital. Not so bad. That’s still $1.65 billion of extra profit to keep compounding into the future. What’s really going on here, is that the corporations taking these write-offs are signaling that they may use this ‘increase in costs’ as an excuse to cut back on their retirees’ health benefits. To be generous we’ll call their statements a case of mis-direction. 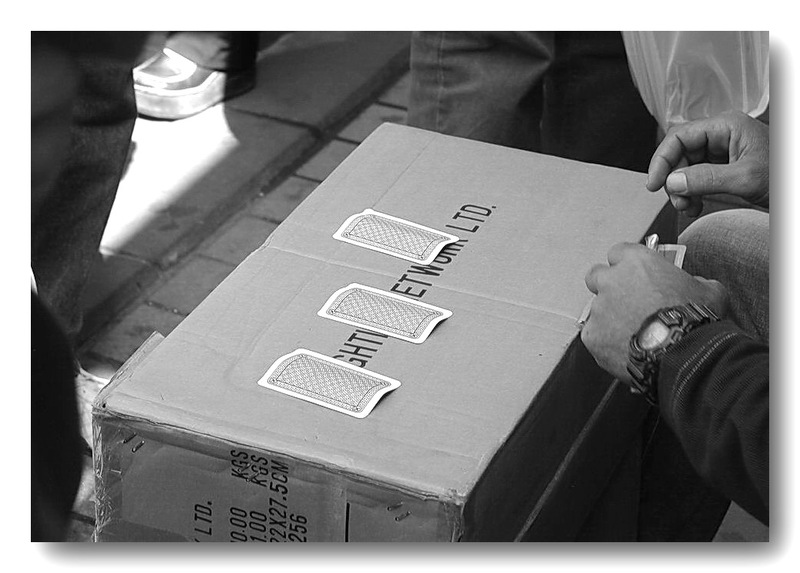 The three-card Monte game itself is very simple. To play, a dealer places three cards face down on a table [and] … shows that one of the cards is the target card, e.g., the Queen of Spades, and then rearranges the cards quickly to confuse the player [who] … is then given an opportunity to select one of the three cards. If the player correctly identifies the Queen of Spades, the player wins an amount equal to the amount bet; otherwise, he loses his stake. It would be nice if corporations would call a spade a spade, but that’s not in the cards. OMG! It’s the end of socialism (for corporations) as we know it!